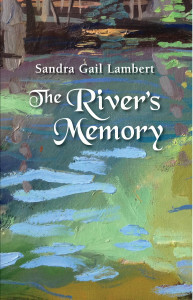 Check out my review of one of 2014’s best novels, The River’s Memory by Sandra Gail Lambert. Excerpt: The book is radical in both form and content, only in part because disdain for politics, and for politic behavior, is a characteristic that many of the novel’s women share. Although a historical novel, this is most emphatically not a family saga. None of Lambert’s main characters are weighed down with children, and so the conflicts they face are not about how to survive, or whether to reckon with their own deviance. They see themselves as outside of such concerns. Instead of human error or betrayal leaving indelible marks on generations, it is the land and water, the plants and the animals, that leave their mark.